From what I’m learning about CrossFit (and from what I know as an athlete) there are few words CrossFitters despise more than this one: surgery. Well, maybe the word injury. Or pain. Because injury, pain, and surgery, to athletes, usually mean one thing – down time. And athletes ‘aint got time for down time. That is why so many athletes, including pro athletes such as Hines Ward, Tiger Woods, and Stephen Curry are turning to PRP, or, platelet rich plasma to help them get back to competing in their beloved sport, post injury. As a Pain Management Specialist, I can tell you, PRP might just be the best thing since the invention of the foam roller. What is PRP? 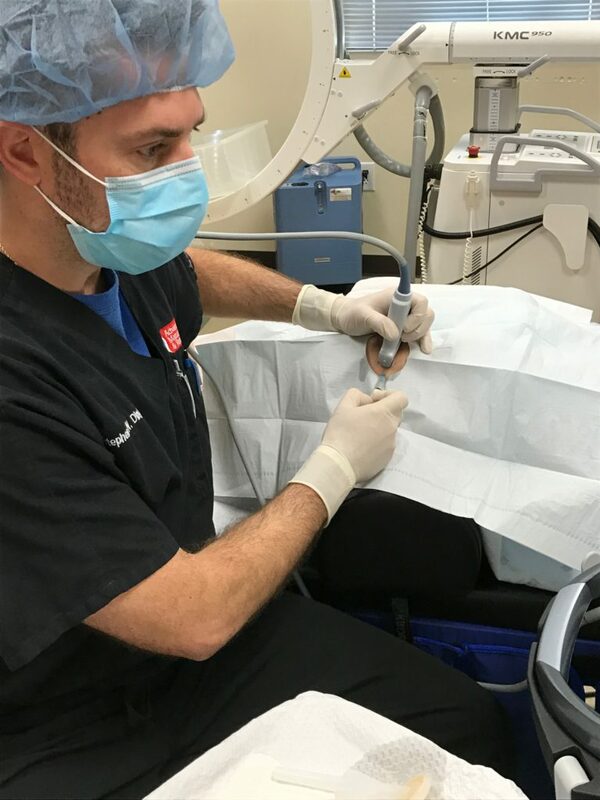 Platelet Rich Plasma is an alternative to the more current conservative and interventional procedures such as steroid injections, nerve blocks, etc. to treat an area of acute or chronic pain. It is a regenerative medical option to help heal the actual disease process instead of masking the symptoms. In simple terms, PRP works by using the body’s own healing response to heal damaged tissue and cells. At Advanced Pain Management and Rehab, we begin PRP by taking a little of the patient’s own blood. Next, the patient’s blood is run through a machine called a centrifuge. This machine, called a centrifuge, separates and concentrates blood platelets to be injected into an area of acute or chronic pain. The centrifuge takes a few minutes to spin the blood, separating all the best plasma, concentrating the platelets. This substance is then injected into the site of injury or pain. Here I am performing PRP on a female patient in the area of the knee. 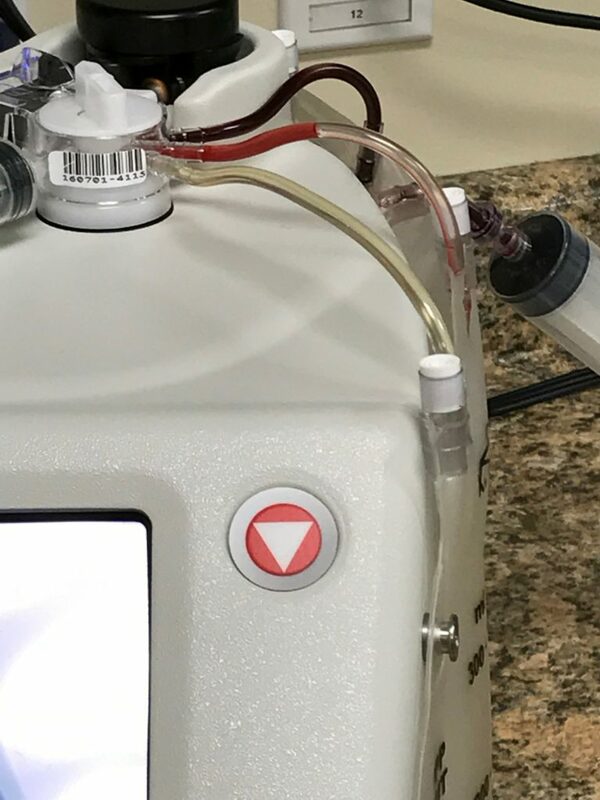 One of the things I like best about PRP and why I truly believe it is on its way to becoming the go-to procedure for pain is that with PRP there is little to no down time post procedure. There is very little “recovery” needed. I have patients who have been avid gardeners and return to all that bending and resting on their knees within a week or two. 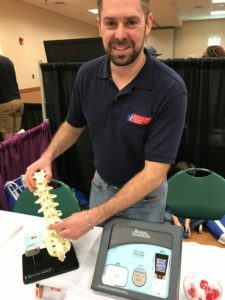 I have had a PRP patient who is a health care worker and lifts patients on a regular basis. She was able to return to work and do her job pain-free again. Just the same, athletes can be back competing again in no time and, perhaps more importantly, without pain. Often, as little as one injection can bring relief. Another benefit of PRP? It’s safe. Because PRP uses the body’s own blood and healing properties, there’s little to no risk of infection. One example of an athlete whom I treat who is a great candidate for PRP is this 29-year-old body builder who is also a yoga instructor. She’s been living with disc pain for a long time. She has tried acupuncture and injections and still has worsening pain. She’s young. She’s fit. Her current go-to’s for pain aren’t working. Much of these qualifications make her a strong candidate for PRP for pain treatment. Keep the body hydrated at all times. Avoid overusing the same muscles. Vary your workouts as much as possible focusing on different muscle use. As someone who played lacrosse and soccer and now trains and competes in triathlons I understand that there is little worse than an overuse injury. No athlete wants to be stuck on a couch or worse, in the hospital, due to surgery. It isn’t fun to watch your friends and teammates do their thing knowing you can’t do yours. Therefore, my goal for CrossFitters and athletes in general is that they get to continue doing what they love as often and for as long as possible. If you have any questions for me about PRP, please don’t hesitate to shoot me or my team an email. Often, one of the most common questions we are asked about PRP is whether it is covered by insurance. At this time, unfortunately, it is not. PRP can cost between 8-hundred and one thousand dollars per injection. It can be a relatively small price to pay for a lifetime long of doing what you love – in the case of CrossFit, chasing your fitness and competition goals while strong and healthy. Be safe, and good luck with your training and competitions!